Belarus' national airline Belavia (www.belavia.by) offers direct flights from a number of European destinations, including London Gatwick, Amsterdam and Paris. Other airlines flying to Belarus include Aeroflot, Air Baltic, Air China, Austrian Airlines, Etihad Airways, Finnair, Lot, Lufthansa and Ukraine International Airlines. The major airport is: Minsk National Airport, which is approximately 42km (26 miles) east of the capital. The major airport is: Minsk National Airport. The majority of international flights land at Minsk-2 airport (www.airport.by) which is approximately 40km (25 miles) east of the capital. Most domestic flights and also flights to Kiev and Moscow leave from the smaller Minsk-1 airport. The airport is located about 42km (26 miles) east of the city of Minsk. To Minsk: from London - 3 hours; New York - 11 hours (including stopover). There are several international rail services that connect to Minsk's Central Station, including those from Moscow, St Petersburg and Kazan in Russia, as well as from Vilnius (Lithuania), Kyiv (Ukraine) and Riga (Latvia). Visitors must have a valid transit visa in advance if passing Belarus by train. The American embassy has received complaints of harassment of US citizens at border crossings and recommends that if you encounter this, report to the local police and the US Embassy in Minsk. Again, navigating between Belarus and Russia by train or car can be difficult for foreigners, so being aware of this is important. Belarus does not offer any rail passes. 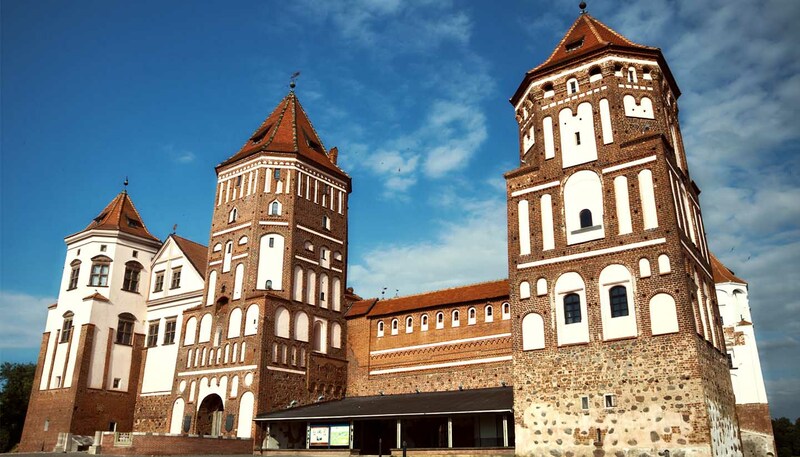 There are a number of roads into Belarus, including popular routes between Vilnius (Lithuania) and Minsk, which takes approximately 3 hours, and between Bialystok (Poland) and Minsk, which takes around 4 and a half hours. Belarus has a digital system (known as BelToll) to collect road toll in many sections of highways scattered around the country. Tolls are charged on vehicles from outside the Customs Union (Armenia, Belarus, Kazakhstan, Kyrgyzstan and Russia) and all vehicles must be fitted with an onboard unit to pay for the charges. Visitors must also purchase a Green Card insurance certificate when entering Belarus. Premiums range from five to 50 Euros depending on the length of your stay in Belarus. Transiting the land between Belarus and Russia by car, train and on foot can be tricky for foreigners so please be prepared. As long as you have the correct visa, entering Belarus by road is (in theory) relatively unrestricted. That being said, due to long queues at border crossings, it can be a time-consuming experience, particularly if you are travelling between Belarus and Russia. Belarus is a landlocked country with no approaches by water. There are several rivers running in and through Belarus, but these routes are not to be relied upon for transport in and out of the country.